As you may have read in previous posts, I am staying away from any product that contains Sodium Lauryl Sulphate. If you want to read my reasoning behind this, have a look at my previous post here. As my previous shampoo (Moroccan Oil shampoo) contained Sodium Lauryl Sulphate, I decided to try a few more natural shampoo and conditioners until I found the perfect one for me. I first of all tried the L'Oreal Hair Expertise shampoo which is actually from a range of L'Oreal products that do not contain any sulphates. If you want to read my review on this, have a look here. After recently visiting Holland and Barrett, I came across the Dr Organics range. I have so far tried their body wash which I find fantastic, which you can read about here. As I was so impressed with the Vitamin E bodywash, I decided to try their shampoo and conditioner. 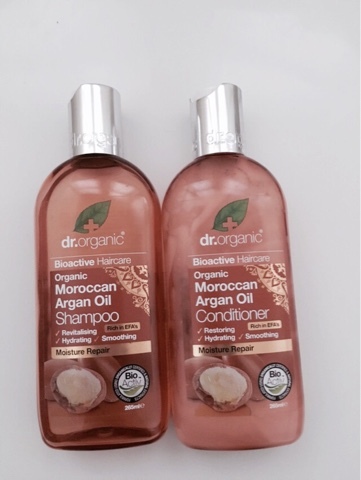 They stock a range of different shampoo and conditioners but I decided to try their Argan Oil shampoo and conditioner products as I know Argan Oil is great for taming frizz prone dry hair. As you will see from the photo below, both products promise to be free of Parabens, SLS, Artificial colours, fragrances and harsh preservatives. The first thing I noticed after use was that my scalp doesn’t itch when I use this, compared to the majority of other shampoos (which I am sure is due to their Sodium Sulphate content). The shampoo is fantastic. A tiny amount covers all my long thick hair due to how much it lathers up (who needs SLS as a foaming agent aye). The conditioner is great but my only concern is when my hair is feeling very damaged, it doesn’t smooth it out as good as some of the previous high end conditioners I have used in the past but all in all it does a great job. Overall I really do like this range. It leaves my hair feeling and smelling great and I will continue to keep buying it. Both the shampoo and conditioner are only £5.99 each, so they are definitely worth a try. If anyone lives in the West Midlands, Holland and Barrett now have a discount store in Resort World (near Birmingham airport) where all their usual products are 30% off all year round. Has anyone else tried this range before? Does anyone have any other sulfate free shampoo and conditioner they would recommend I try? Never tried it, but from the moment you said it's Argan oil based I felt the urge to try it! Absolutely love Argan oil products, they work wonders for the body and hair! The whole Moroccon Oil line seems to me to be seriously overhyped. The ingredients aren't the best, so I don't get why people go crazy about them. For SLS free hair products I love the Organix (OGX) range, they are affordable and have a great variety of products. I might try this now, sounds like a great shampoo! Great review! Haven't tried this range, but love that it's organic! Wow I need to start paying more attention to what's in my hair products because my scalp gets irritated and itchy sometimes too! I don't think we have this line in the states but I need to look into something similar. I've tried a few cleansing conditioners but my hair feels too limp when I don't shampoo! These sound amazing and I would love to try them! I'm always looking for haircare products that will make my hair look and feel amazing. oh, i really want to try these now, they sound great! I've tried a few Dr Organic products and have had mixed feelings but this sounds like a lovely duo! I love their face cream, I'm deffo going to have to try hair stuff too!! Argan oil is the best. I have used em before. Thanks for sharing. 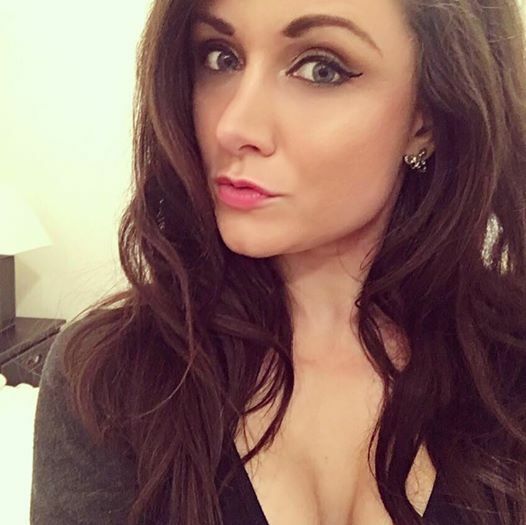 Lauren. Never tried it, but they do sound good!! I love everything with argain oil in it! These products look nice! this really sounds like a great product, thanks for sharing! I've actually avoided SLS based shampoos (itchy scalpy problems! )and body washes for over 5 years now! So I've tried a lot... but I haven't tried this one but love anything with Argan Oil in it... love the scent! I will have to try this soon. You should have a look at OGX... some contain sulphates so you do have to check the bottle but quite a few don't and are just great. Great review! Any hair product with Moroccan and or argan oil literally is the best! I definitely need to try more products with argan oil in as my hair get so dry and frizzy! Great review, i was looking for something like this. I'll def check it out! I'm such a peeve when it comes to conditioners. My hair is pretty damaged and dry due to bleaching the ends a lot so I get reallllyyyy picky when it comes to conditioner. Perhaps I'll pass that up but I'll definitely be looking to try the shampoo! Oh this shampoo sounds absolutely brilliant. I am such a fan of products that use argan oil. Local councils are assisting pet owners by setting aside dog parks CBD for dogs in your local community allowing the freedom for off leash play for your loved pet. Just like children your pet also needs time to exercise and burn off all of that pent up energy.